No. 13 of my Finish Along List for Q1 is finished! 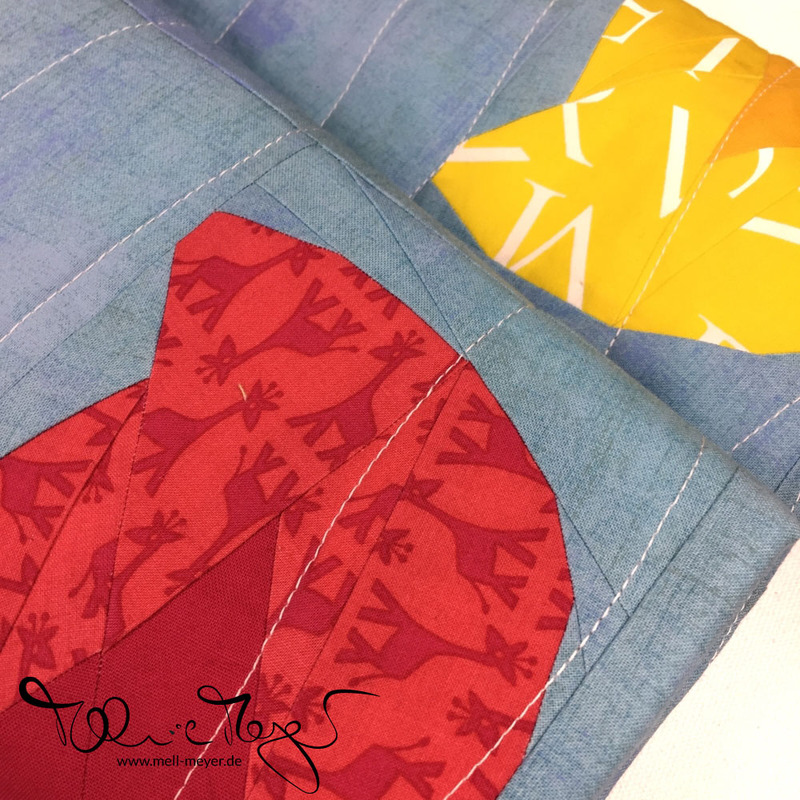 Thanks to some creative folding – the two tails showing. 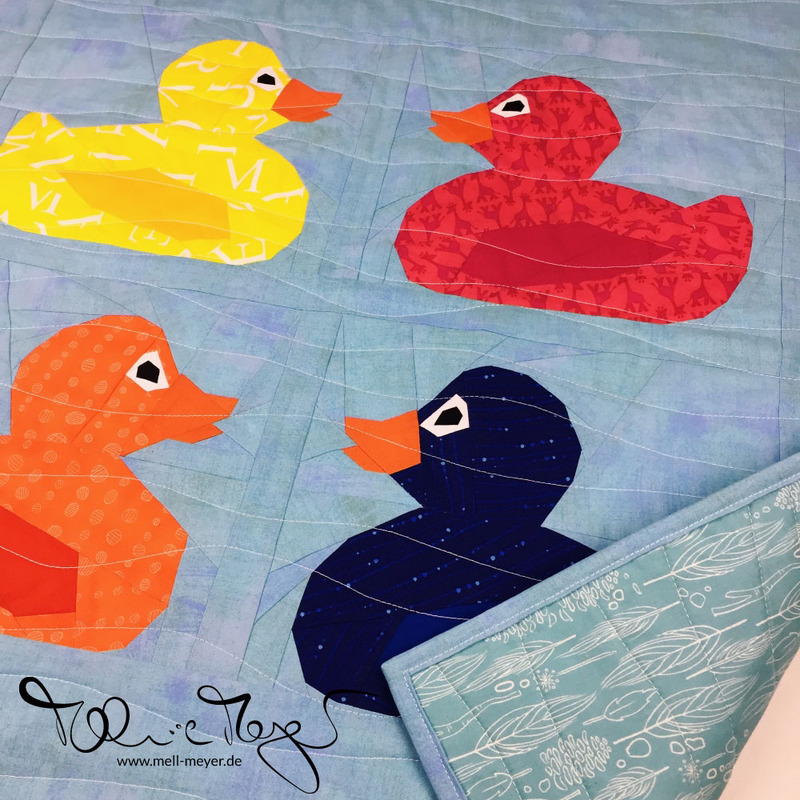 Because, well there is this Germany children song called „Alle meine Entchen“ (aka all my little ducklings – there are you tube versions btw *lol) and I love how those tails give the duckies so much personality. I forgot that one background fabric piece in one version and it looked totally different. This is the new blankie for a small boy. My friend picked the fabrics from my stash and we only ordered the blue/aqua Grunge background fabric. And the second one was finished a few days ago. This was No. 13 on my Finish Along List Q1. This time „only“ two duckies. But they will soon get some more decoration aka three hearts. I will applique them on. Unfortunately I did not do will on my first try so I have asked Allison @campbellsoupdiary for support. She is THE genius with starch applique so I think that should help. The quilting on both quilts is random, organic wavy lines done with my walking foot. A fast but yet fitting quilting design. This means I am halfway done with my One Monthly Goal (OMG) for February. Just one other project to finish :) I am making good headway with Whirly Girl and Plussquared so I am really optimistic. How are you doing? So cute, so sweet – absolutely adorable!!! 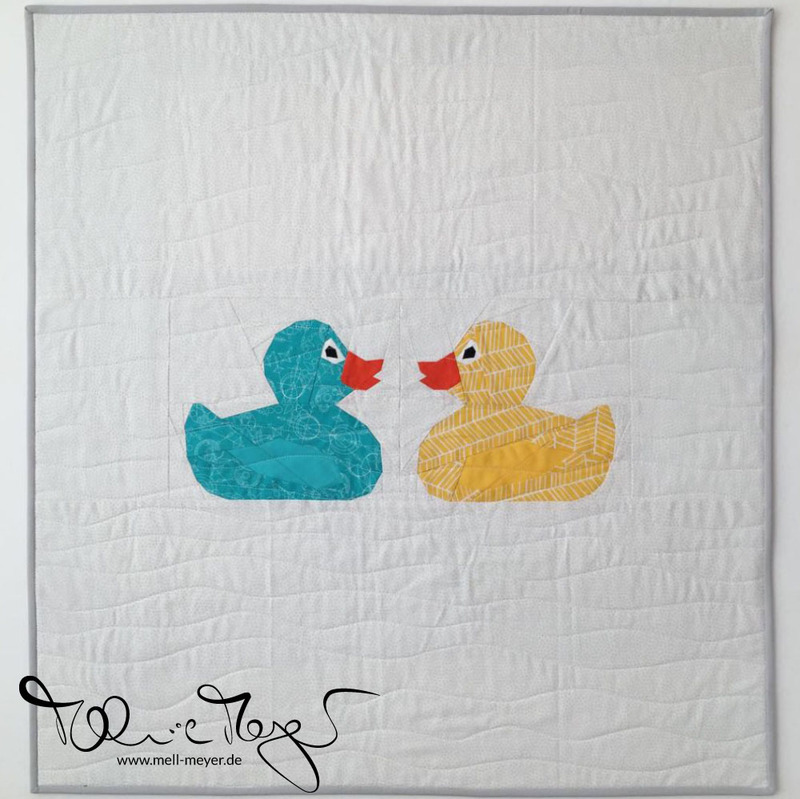 Makes me want to snuggle with this darling quilt!!! 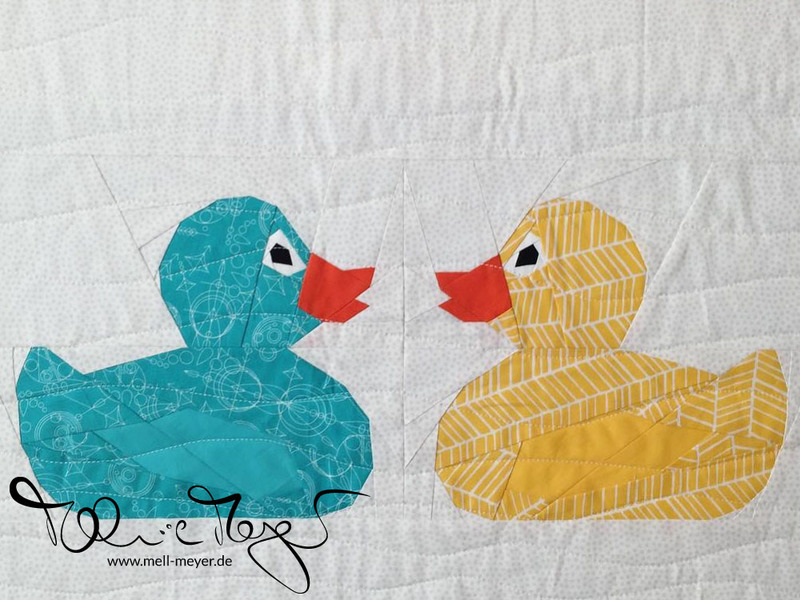 The wavy line quilting is just perfect for this! one hot off the press for the deadline (expected) and one early?! ?… what is the world coming to? ; ) both super cute… I’m sure they will be stuggled a lot! Ich habe mir das Pattern auch gekauft – Liebe auf den ersten Blick. Mal sehen, wann ich endlich dazu komme, so ein Entchen zu nähen. Deine beiden Quilts sind wunderschön geworden. Eine tolle Inspiration! I absolutely ADORE these little duckies! 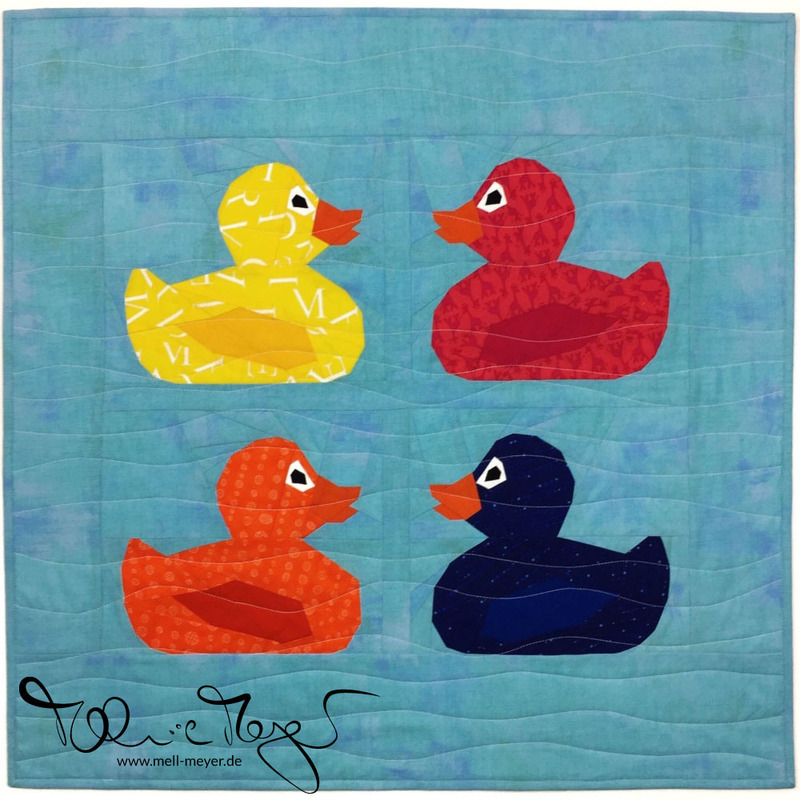 I’m hoping to maybe tackle my own duckie quilt once life calms down a little (Hahahaha)…. In the meantime, I am going to just drool over yours!